Continuing form part one whose discuss about the various shape of unique decorative pillow that ever exist. Maybe you will interested to buy it or produce it yourself. Please remember, this is just a review, we do not make or sell it. These various shape that we found, then we summarized it all on several page for you to see and compare easily. 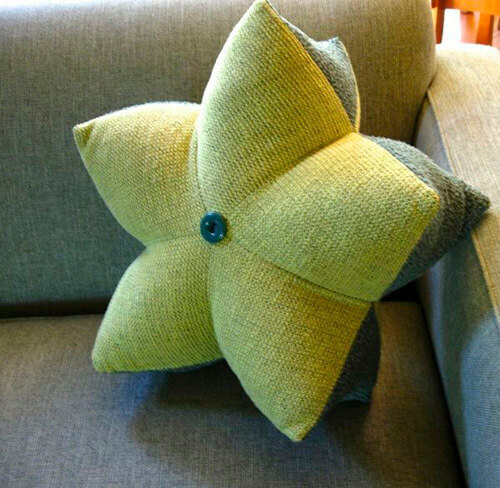 Hopefully you can find a kind of pillow that suitable as a decoration of the living room or just for your collection. 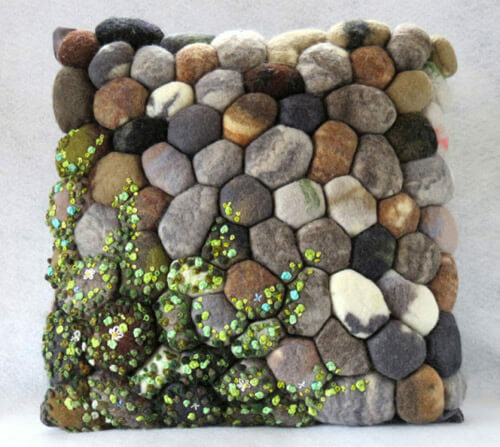 Stone-like pillow is very artistic shape, When placed in the living room, or open space. If placed in open space then the pillow will be similar to real rocks. But are you sure you will leave it in the open space? Surely it will wet by the rain and will be taken away janitor. The alphabet pillow is a pretty cool decorative pillow to display in the living room. The shape can fit the alphabet we want. Usually we will buy the pillow according to the initials of our name or our spouse, then combined as a form of reminder. 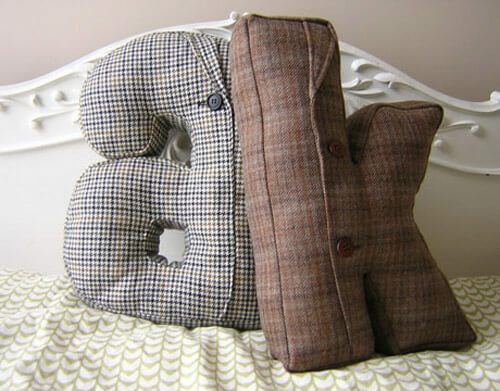 For those of you who have a partner, using the initial partner’s alphabet pillow will certainly be special. even it become reversed, that’s not a problem. It would be problematic if you buy this alphabet cushion only the letters that make up the insult. 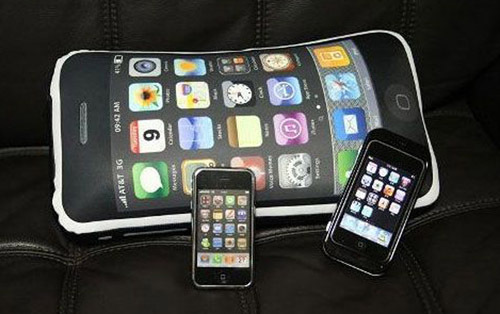 This iPhone-shaped pillow is actually ordinary, there is nothing artistic because it is like a candy bar. However, these pillows can be taken traveling, can be used for the base of the head while sleeping like a regular pillow or You can used it for pillow fights. 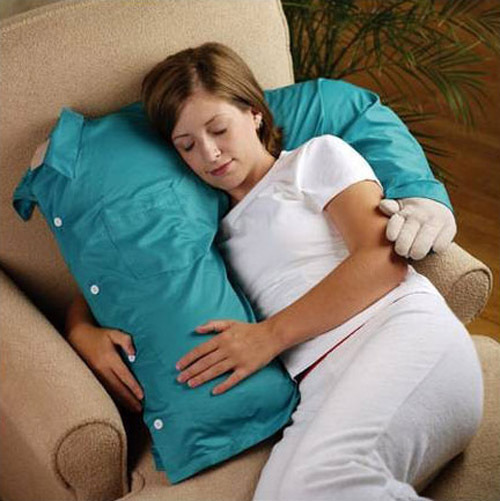 This pillow can not be dialed, making a sounds, vibrates, reads SMS, and make a call to our loved ones. This cake pillow is a nice pillow for decorating the room. It looks like a cake that looks really good to eat, though you can not eat it. But if this pillow is used for your daily sleep, we feared that the activity will fade the color, then the beauty of the pillow will be lost. 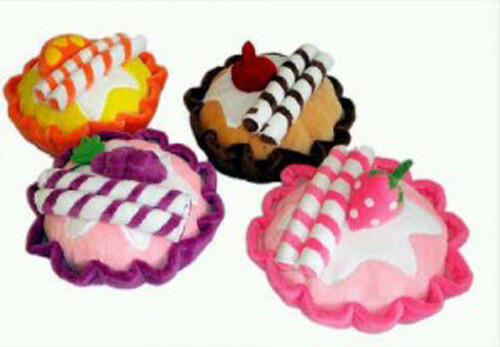 So just make this pillow as Cupcakes. This decorative pillow is perfect for those of you who want to be rock-star. 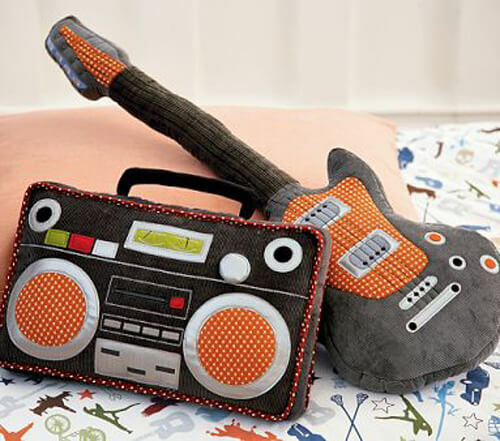 This pillow can be use as a decoration or as a dummy to make it look like you are playing real guitar. As a rock-star wanna be, you should take this wherever you go, show the public that you are a real musician, judging by your love of headrests while sleeping, in the form of a guitar and amps. 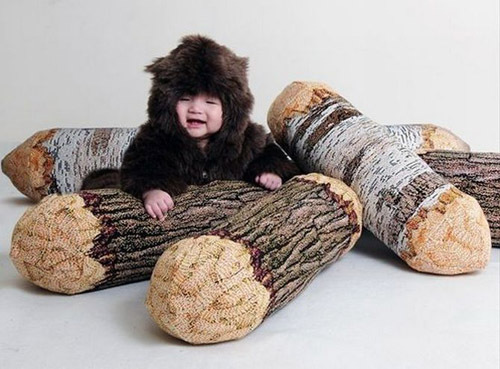 Pillow shaped pieces of this tree trunk will be quite comfortable if used as a bolster but not for use as a pillow. If the number is enough, it will look as cool as being in the logging area. Suitable for decorating the room, but do not get caught woodpecker birds, he will hollow it. 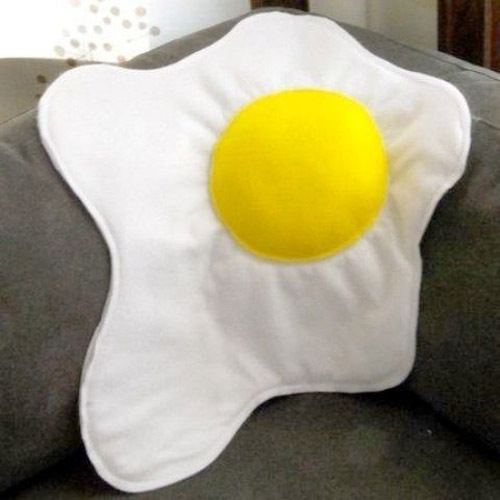 This fried egg-shaped pillow is certainly not good to use as a headrest. This pillow is only suitable for decoration of the living room. Because the color is white, this pillow is prone to dirty, so you have extra care. This pillow is not fat but thin, how could a fried egg in the form of thick? This room unique decorative pillow looks very sweet when placed in the right place when combined with the existing sofa color. This pillow is also the right pillow to use as a head rest while sleeping. 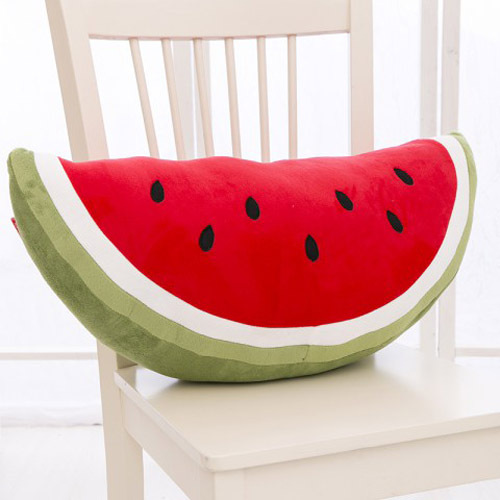 this cushion though not cute, will be enough people who will hug it tightly. To be Continue to the unique decorative next part.